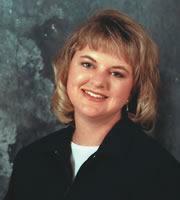 Ann Wheeler is a consultant and instructor for the Early Care and Education Department at Tulsa Technology Center. She has a B.S. in family relations and child development and is an experienced preschool teacher. Ann has spent the past decade implementing training for childcare providers and other early childhood professionals. She presents workshops for parents and teachers throughout the Tulsa area. Ann Wheeler lives in Verdigris, Oklahoma. Make a Gift for Grandparents’ Day!